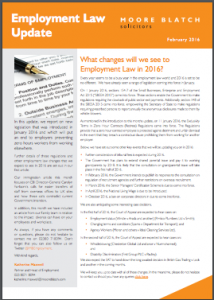 This entry was posted in Employment Law and tagged employment law update. Bookmark the permalink. Previous Post: £2.3 million Fine Under Bribery Act. Protect Your Business! Next Post: Does Your Company Have Any ‘Persons with Significant Control’?